I've been trying new things with my hair lately. I've been bored and thought that I would switch things up and revisit some older styles that I either couldn't get quite right or that were amazing. Over the past few weeks I've tried several styles on my hair. Some of them have failed (by "some", I mean most). But there's always a workaround to a failed style. First success... I was able to get a banana clip on my hair. If you have really dense hair, then you know the struggle of using non-elastic hair accessories. 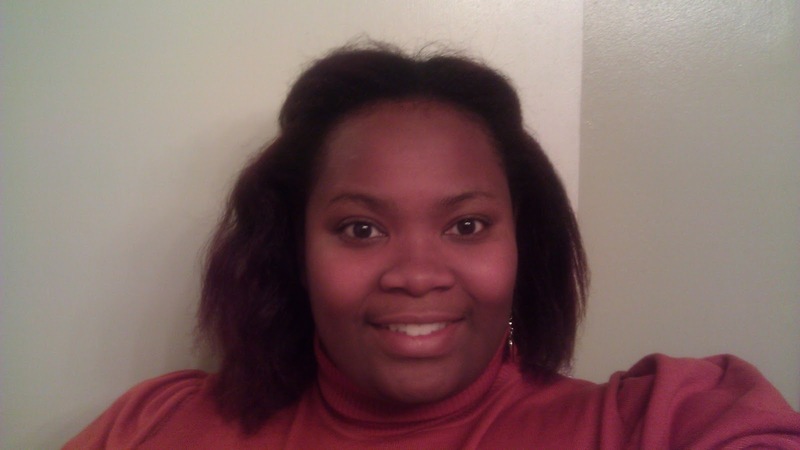 To be fair, this was after I flat-ironed my hair. But even then, I count this as a win. My hair is particularly unresponsive to my flat iron. Even on high heat, I don't get straight results unless I pull it straight. And I learned to keep my hands out of my hair for a day. Every time I tried to fuss with it, the banana clip would give up and snap apart. So the banana clip isn't as visible as I initially thought. But it certainly held this fuzzy bun in place. 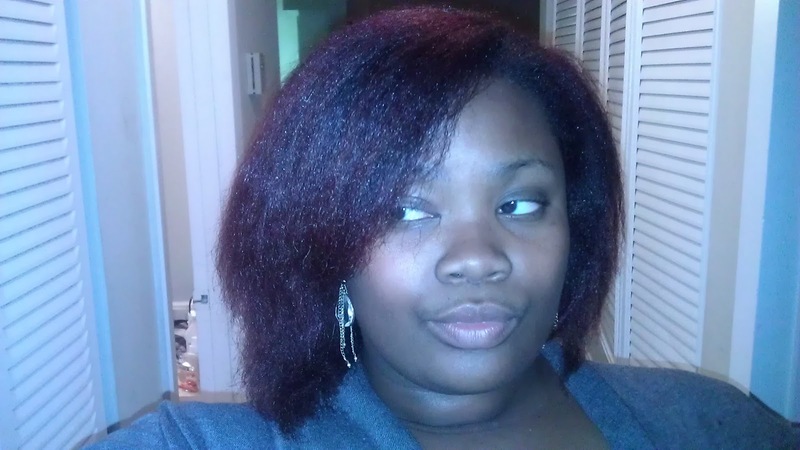 And now a fail: I blow dried and flat ironed my hair. It wasn't even straight enough for me to take a picture. 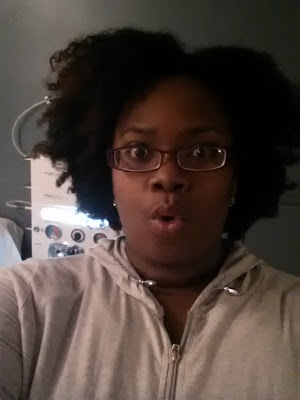 For some reason beyond my comprehension, my hair doesn't respond to my flat iron. My flat iron gives my hair the look of a blow out. I think that For visual reference, think Rudy Huxtable. It looked like the picture below, only not nearly as long, and not as smooth. Also, since I failed at the flat iron style, I decided to try heatless curl formers. They were REALLY CUTE... for about an hour. 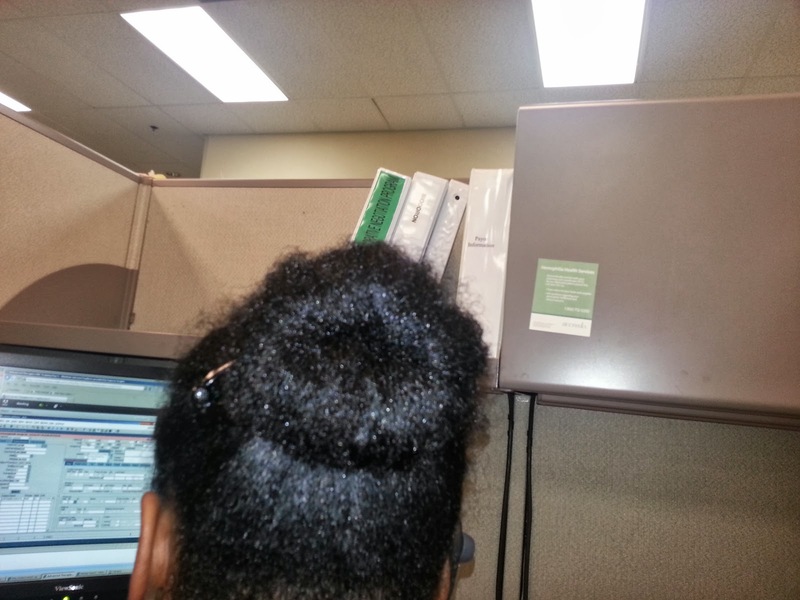 I ended up putting my hair in a high bun shortly after I made it to work. 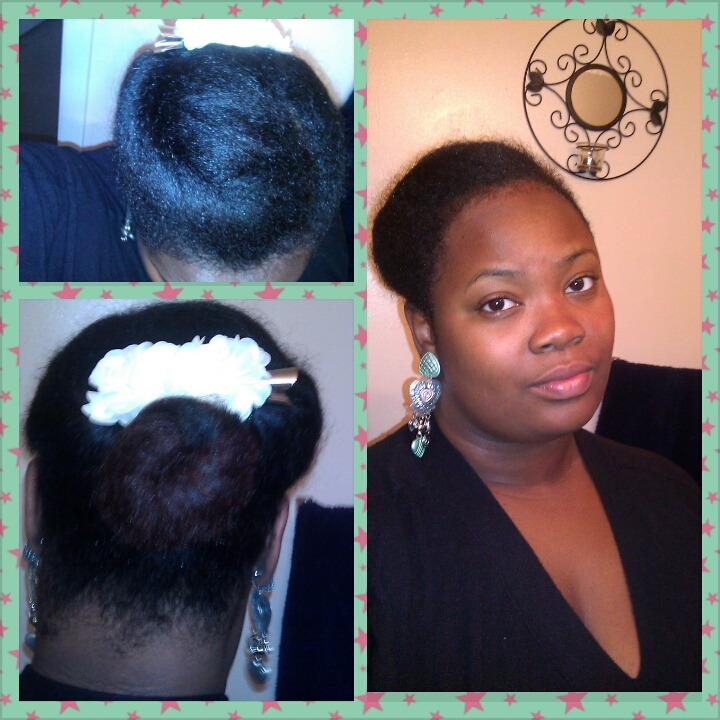 My hair went from smooth and shiny curls, to a fuzzy high bun. 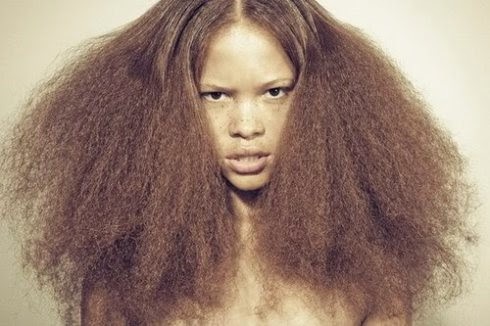 That's the natural hair struggle. My hair doesn't care about the amount of effort or time I put into a style.I spent 1.5 hours preparing my hair in order to get 1 hour worth of curls! Sometimes I just think about not trying any extra styles at all. Finally, I'll end with a success: I wore my hair in an afro for a couple of days. I was really excited to rock my humongous hair. It was a humid day so I didn't have to worry too much about dryness. Check it out. This was definitely the highlight of my hair trials. My afro received plenty of compliments... and I even got nods of approval from a hair stylist. Color me pleased. Also, I learned this month that my hair still loves natural products more than anything. 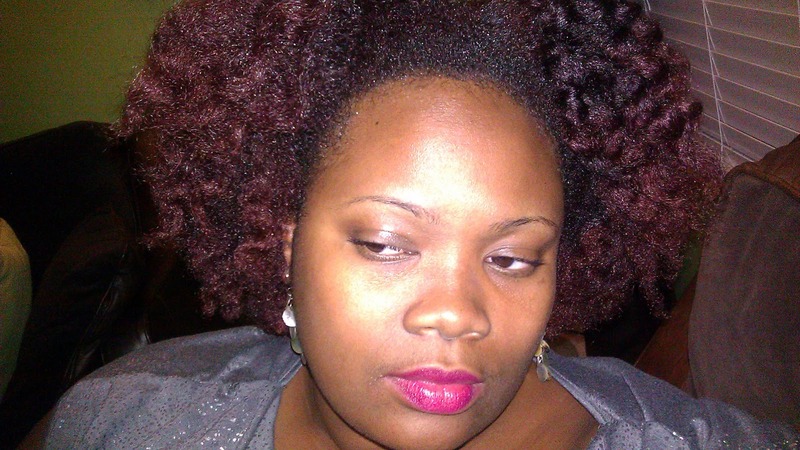 The best twistout ever came from a homemade shea butter mixture. 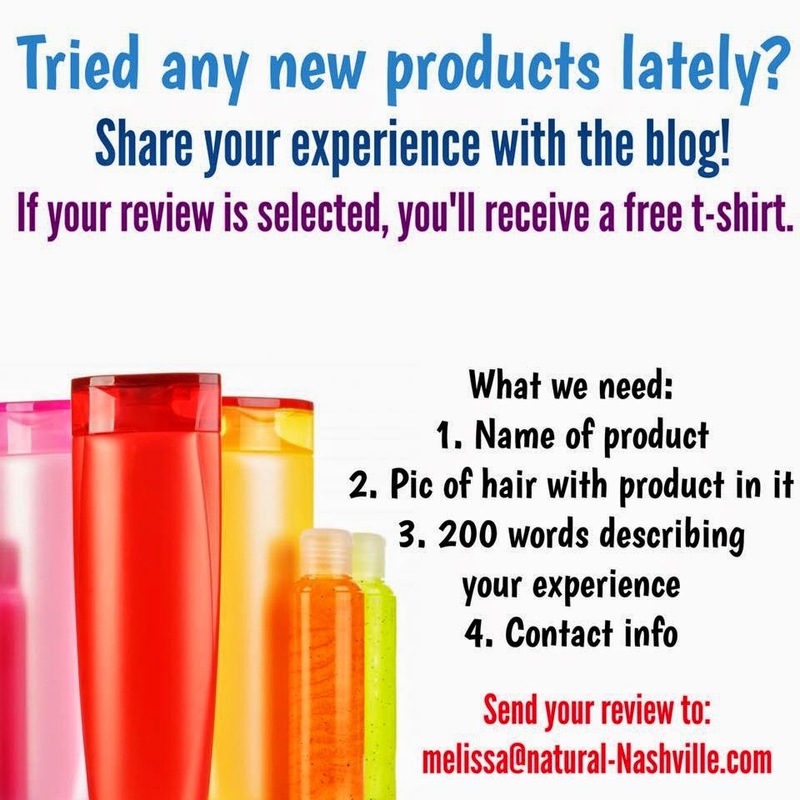 I try to buy products, but more than anything, my hair behaves best with natural products. It's a shame that I've been so lazy in making them. Again, I don't know what it is with this hair of mine nowadays. Unless I'm preparing to wear my hair in medium - small twists for a couple of days, it's almost useless to spend any major time prepping for a style. 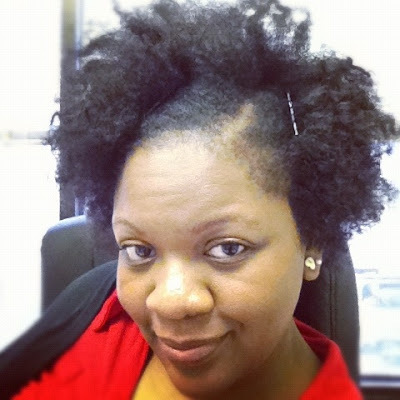 Even when heat styled, my unruly hair acts best when it's in an afro. I have legions of rebellious kinks growing from my scalp. 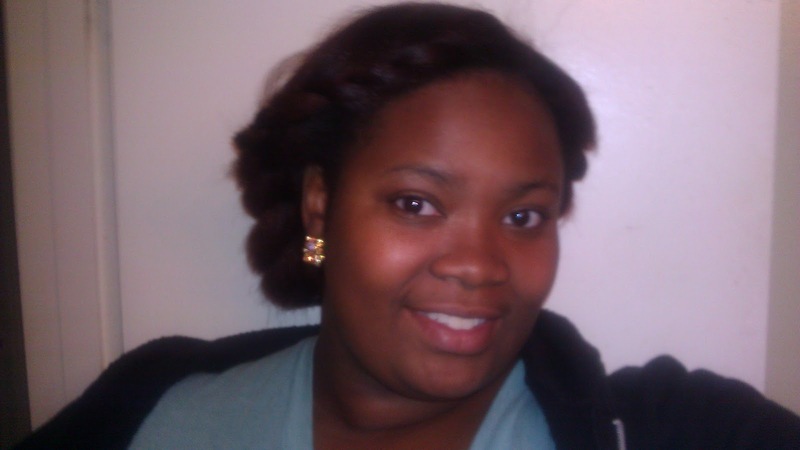 My hair has changed so much from when I first started my hair journey. I'm just waiting to see if it's just a phase... or if it will eventually change again. 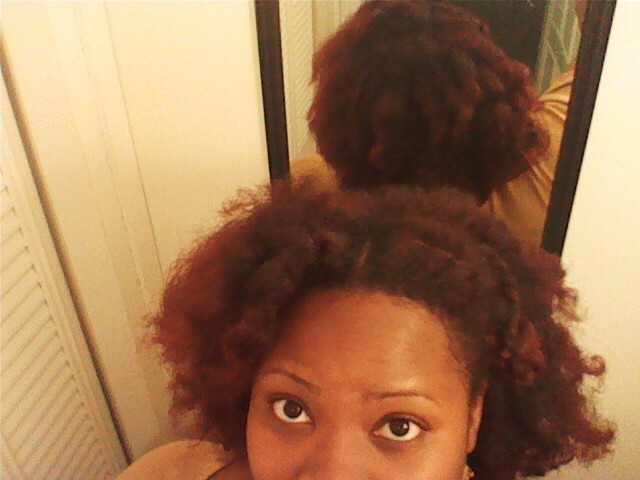 In the meantime, I'm learning to enjoy the now phase of my hair. 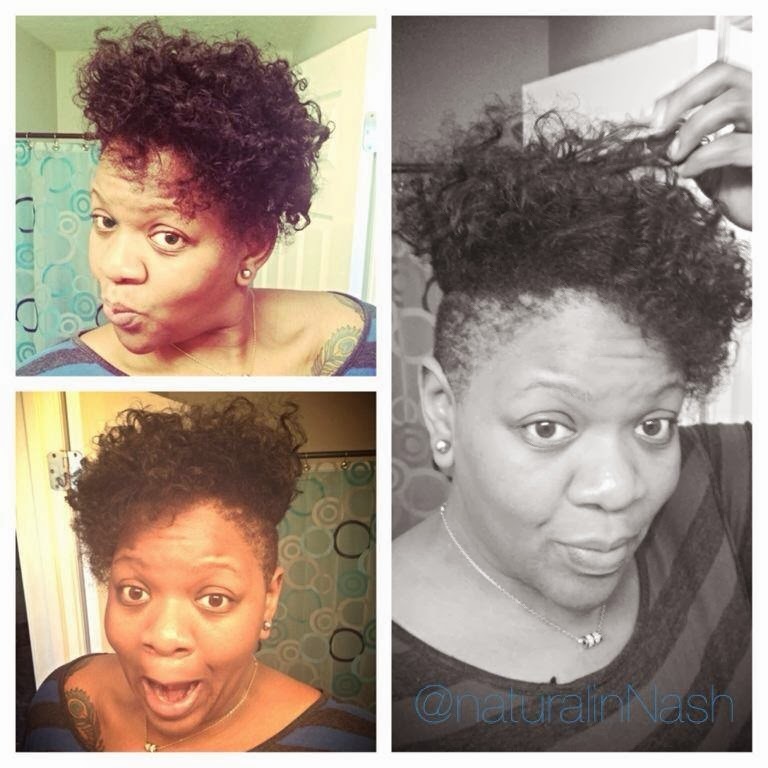 Does your hair still look and behave the same from when you first started your natural journey? 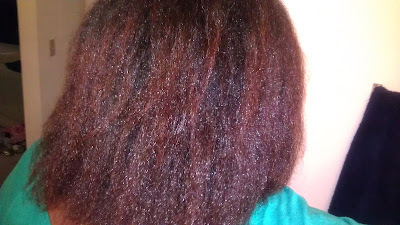 DISCUSSION: NOW, how do you feel when you straighten your hair? 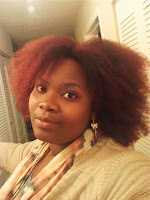 I was perusing my favorite blogs and I came across this post by blogger, Eden Hansom entitled, "I Didn't Feel Attractive Straightening my Hair". While reading this post I had that 'lightbulb' moment! She was 'singing my song with her words'! Eden talked about several factors that went in to her getting her hair straightened: to get a good trim and to impress a boy. After only four days of that 'straight' life Eden washed her hair and regained her curls. She learned alot about herself and people's perceptions during that time. Her experience was VERY similar to my experience. The last time I straightened my hair, I waited the obligatory seven days (to get my money's worth) then QUICKLY washed it out! Why? When my hair is straight, I just felt like everyone else. Call it selfish but when I'm rocking my super fro, extra-long box braids, or crinkly curly kinks, I always stand-out in the crowd. My friends do too. 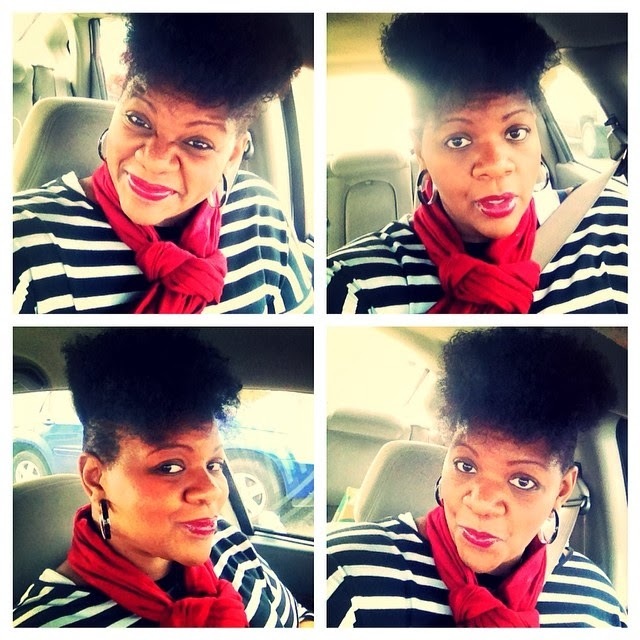 It doesn't matter if a friend and I both do a twist-out, her hair's outcome will always look different. 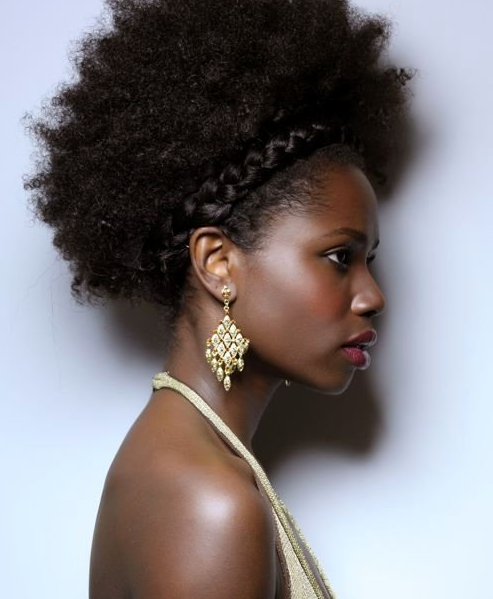 That's the beauty of rocking natural hair - we always have the power to change the game and be original. When I first tried this product, I wanted to sing from the roof-tops about just how good it was. But, a good researcher knows it takes a couple of tries to validate such claims. Now, I'm here to say that One n' Only Argan Oil Restorative Mask is one of the best deep conditioners I've used on my hair. 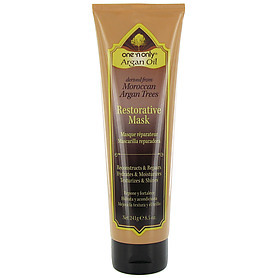 I was introduced to this restorative mask when I went to visit, stylist Jessica Jones, to get my hair professionally straightened. 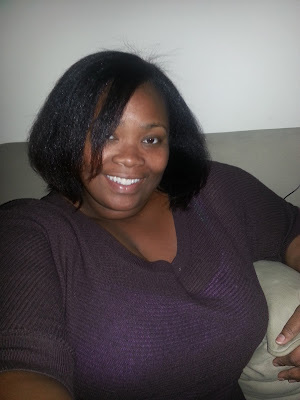 I hadn't had my hair professionally straightened since going natural. I knew Jessica would be the perfect person for the task because her skills are impeccable, she uses great products, and she has a large amount of natural hair clients. When she examined my hair she noted the dryness and single-strand knots. Jessica decided a restorative treatment was best for me before clipping my ends and styling my hair. When you choose to wear your hair straight, you must focus on prepping the follicle with as much moisture and heat protection as possible. 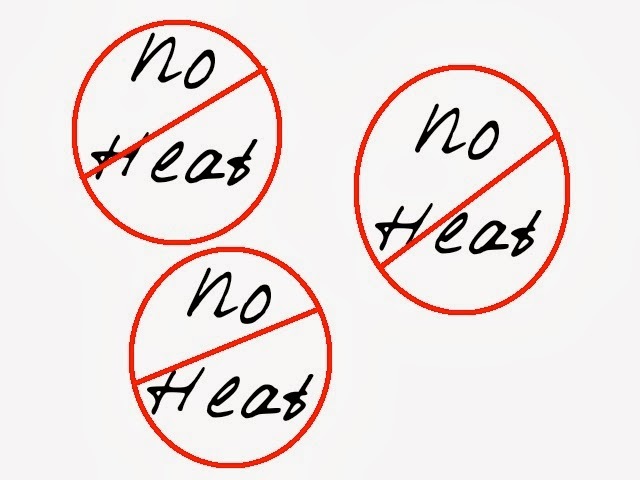 If you speed through the crucial deep-conditioning process you hair will be dry and easy to break or be damaged. 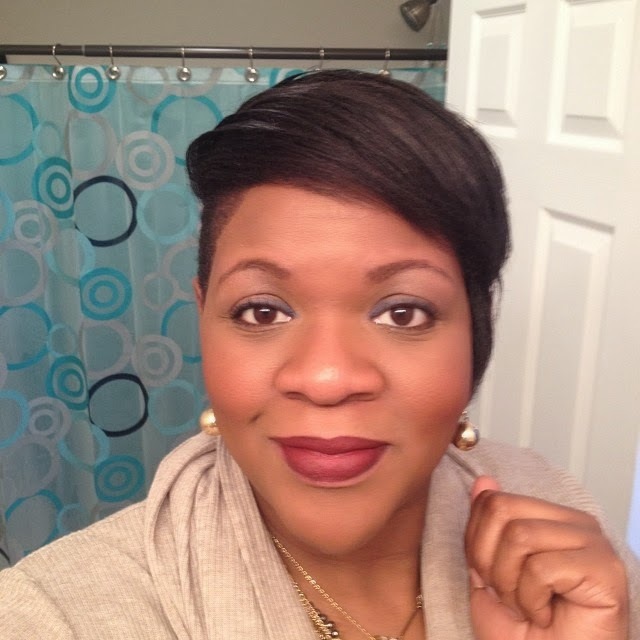 Jessica used her favorite Design Essentials products (the 6-n-1 Reconstructive Conditioner and the Stimulations Super Moisturizing Conditioner) and then used the One n' Only Argan Oil as the last step in the moisture conditioning process. 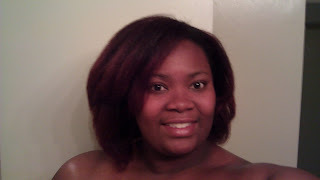 After all that conditioning, I almost didn't want my hair to be pressed, but I desperately needed my ends clipped. Straightening coily (4b) hair is the best way to see any damage. She took off about an inch, but I was left with a great cut and alot of compliments. 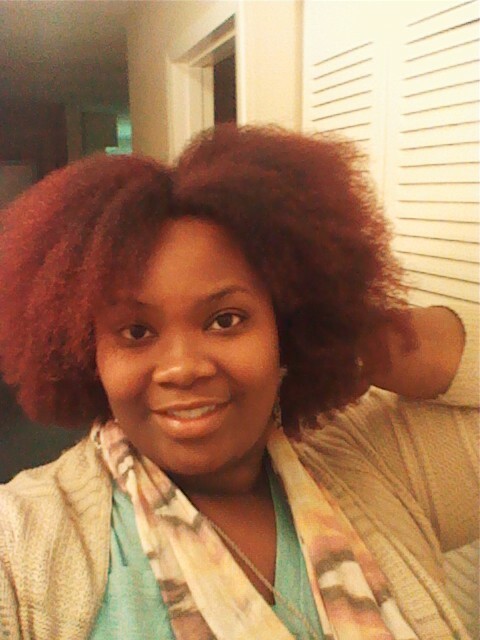 I wore my hair straight for about two weeks, then I was ready to wash and deep condition at home. Coming out of a straight style is just as important as going into it - deep conditioning is key to get those coils bouncy again. I wasn't able to buy all the Design Essentials items, but Sally's Beauty Supply had the entire line on One n' Only Argan products. The product is SUPER creamy and highly fragrant. The entire line is highly fragrant. So, if you don't like perfume laden products, this may not be the product for you. I love perfumed products - plus the product works so well you won't mind. The product is not targeted for 'natural' hair but it is marketed for damaged hair. I washed my hair with some random shampoo (I own so many at this point - lol) and used the One n' Only Argan Oil Restorative Mask for 15 minutes while in the shower. After rinsing my hair, my coils felt SILKY! My hair loves this stuff! I never thought I'd fall in love with any other restorative mask - you know I'm faithful to the NuNaat line. A week later, I did the same process with another shampoo just to see what would happen - the key is the Argan Oil Restorative mask is like a BOOSTER to any product you combine it with. Now, I MUST use it on wash day - it literally brings your hair back to life giving you super shiny coils and great manageability. I recommend you adding this to you weekly routine. 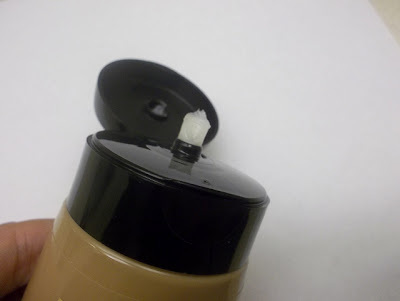 This little secret will be your best weapon - especially if you color treat, blow-dry, and/or heat treat your hair. Before the fantastic evil scissors came out and cut my hair. Check out that accidental ombre. my hair.... sorta. It was SO SOFT. After all of my fear, I know this is ultimately the best way to help me retain length. I am happy that my hair looks better and feels better. There are more important things in the world than long hair. I'd rather have shoulder length hair that looks fantastic than the ratty, broken, bra-strap length hair I would eventually have if I had not gotten rid of the color damaged ends. Also, I love that I have found a stylist who is great at what she does. 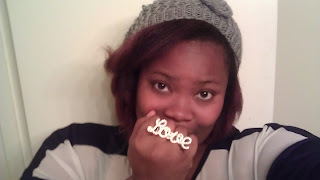 Check out my original stylist review of Tasha Shelton here. What a difference a professional Hair Stylist makes. The lesson: A good professional hair stylist is absolutely worth it. 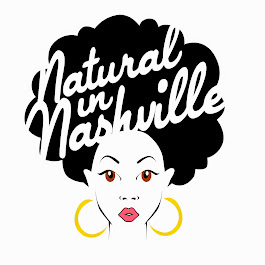 In fact, it's so worth it that Tasha is offering $10 off the first 5 people who mention Natural in Nashville when booking. Have you ever been (or are you) reluctant to cut your hair? Why or why not? Let's talk about in the comment section. What has my hair been up to lately? Whatever the heck it wants to have been up to! I am determined to show my hair that I am the boss. My hair (affectionately coined by someone dear as Puffy) has been determined to show me that I am NOT the boss, and it will do what it wants. This is what a blowout should look like. Not TWO flat iron attempts. Day 1: I was fed up. The punishment begins. Day 3 of punishment. I'm especially proud of this one. It's just a jazzy flat twist. Okay, this was at the end of day 4. It's just a French braid, covered up. 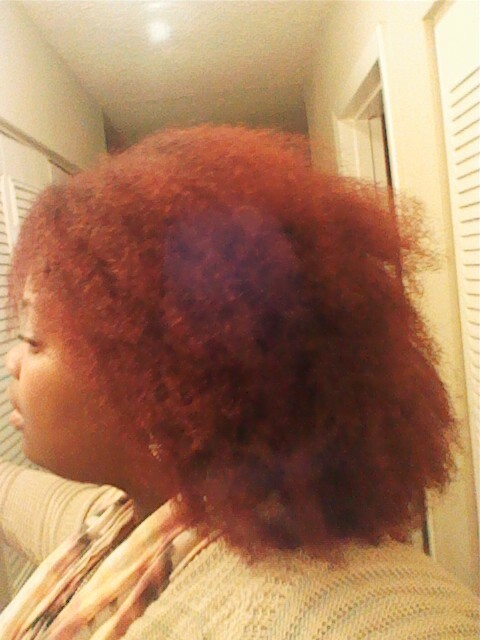 After all of this, I decided to wash and straighten it again. To make a long story short, it still didn't work. It's better than before, but my hair is going through a rebellious phase. I guess I will have to work with it. 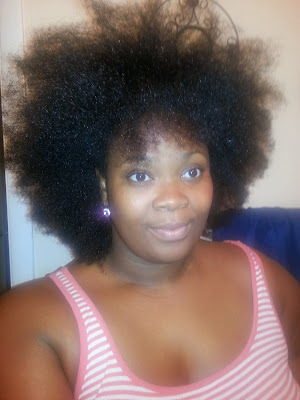 2.5 years into being natural and I never thought my hair would turn on me like this. Maybe my hair is just changing? Am I alone?? Anyone out there dealing with rebellious hair? Was it just a phase? How did you get over it?? 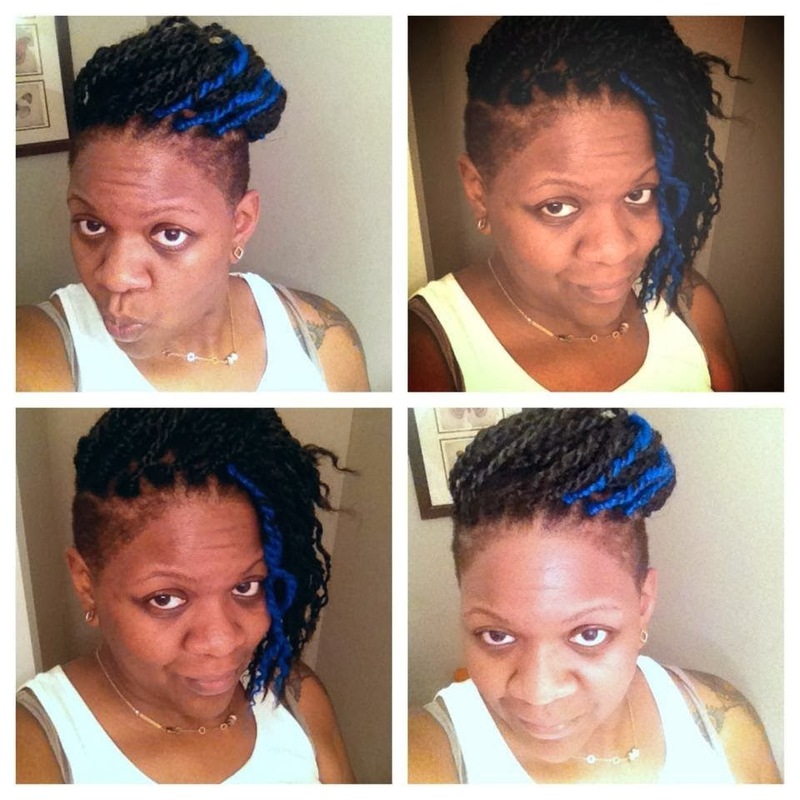 The Faux-Hawk - Now that my hair is longer, this is my new fave style. It's super simple too. 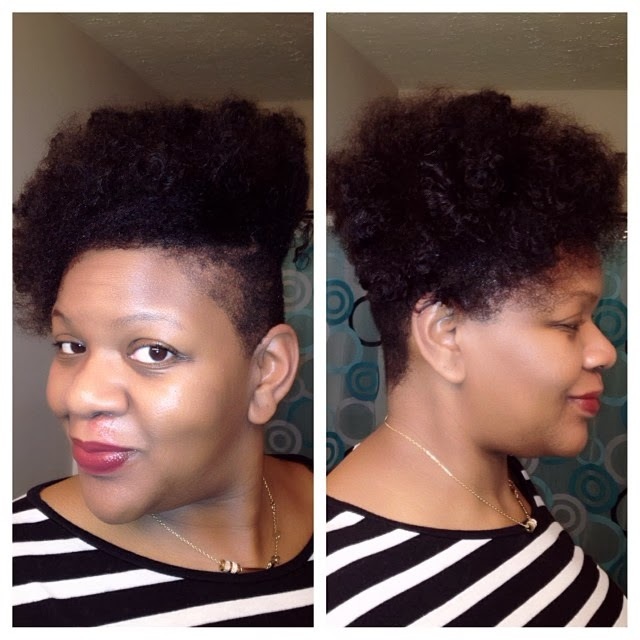 Let hair set, to achieve twisty textures - a couple hours or overnight. Release hair from twists, separating to desired fullness. Single Flat-Twist - I don't know when this style became popular, but everytime I see someone wearing it, I smile. Why? Because it's so effortless and easy - and the outcome is adorable. This works for various lengths too. 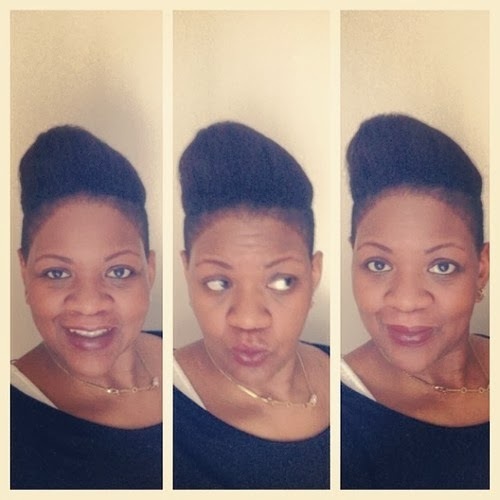 Forward Puff - This is easily my FAVE hairstyle. It's great for special occaisions, and your hair doesn't have to be very long. If you want, blow your hair out gently with the blow dryer. 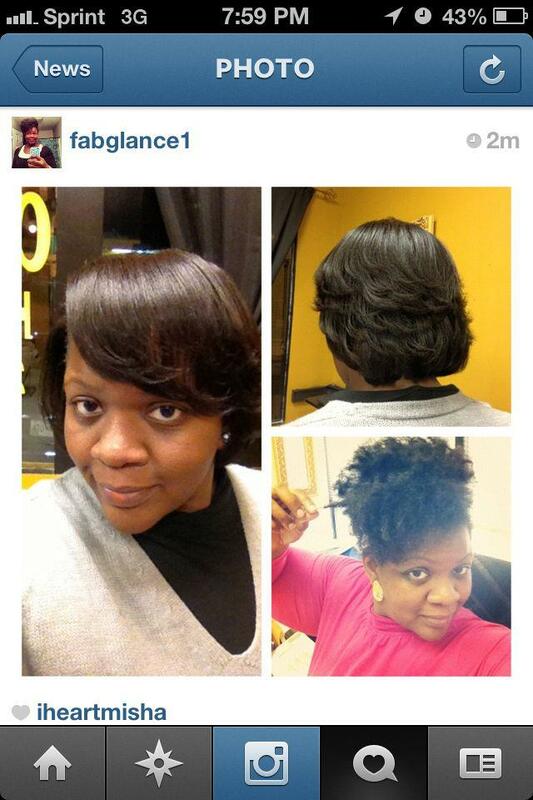 If not use some gentle tension to elongate any shrunken curls or kinks. 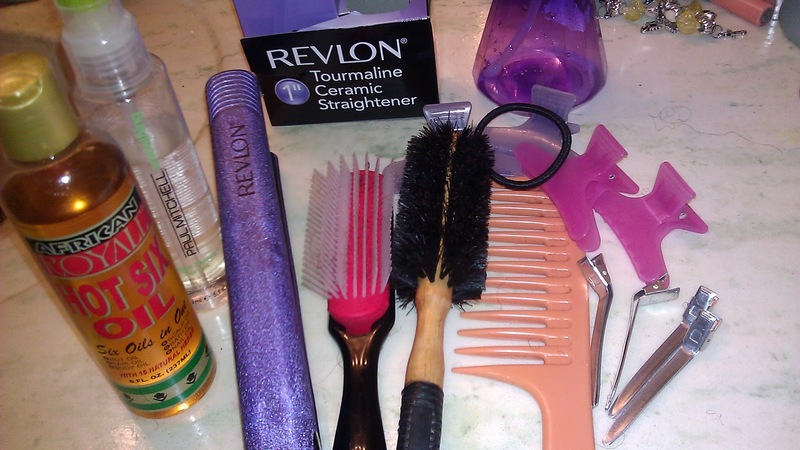 With two hands, push hair forward, securing stray pieces with side combs or bobby pins. 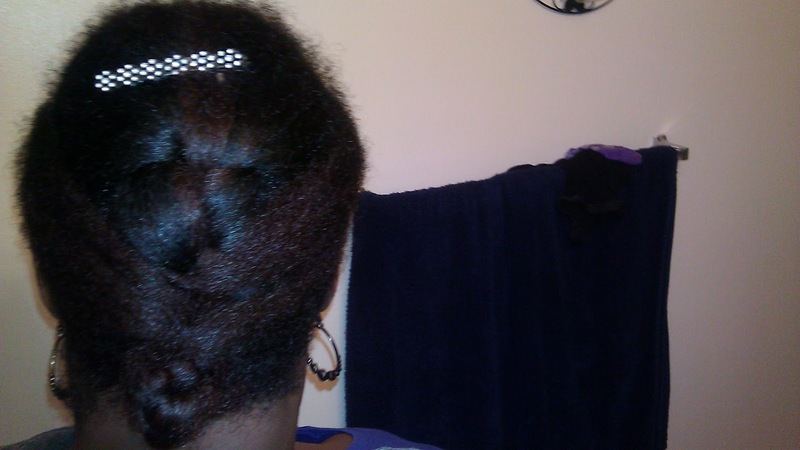 SIDE PART - Here's my picture from this morning. 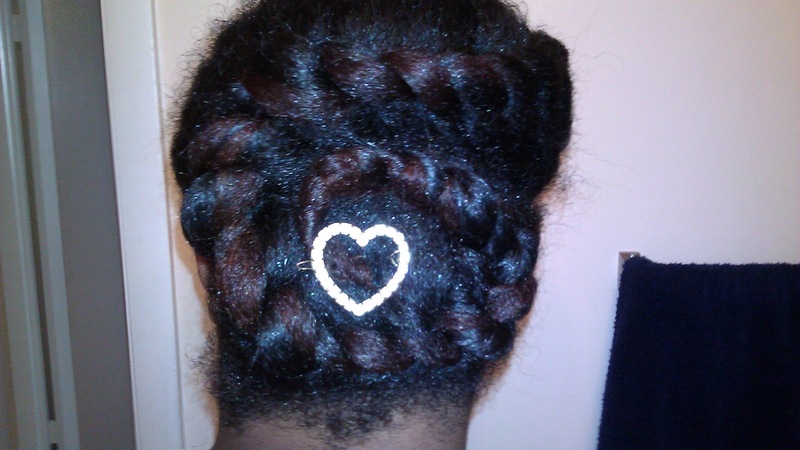 This is my Valentine's Day hair. A simple and easy side part - with PIZAZZ! 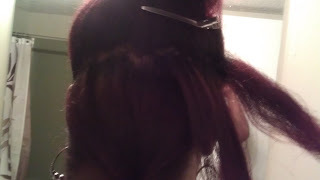 Separate hair where you want your part, secure with bobby pins. Hope this helps! Have an awesome Valentine's Day!! You drink protein to bulk up muscle, but did you know that your hair is also made of (keratin) protein? It's true. That is why protein treatments are so highly recommended. 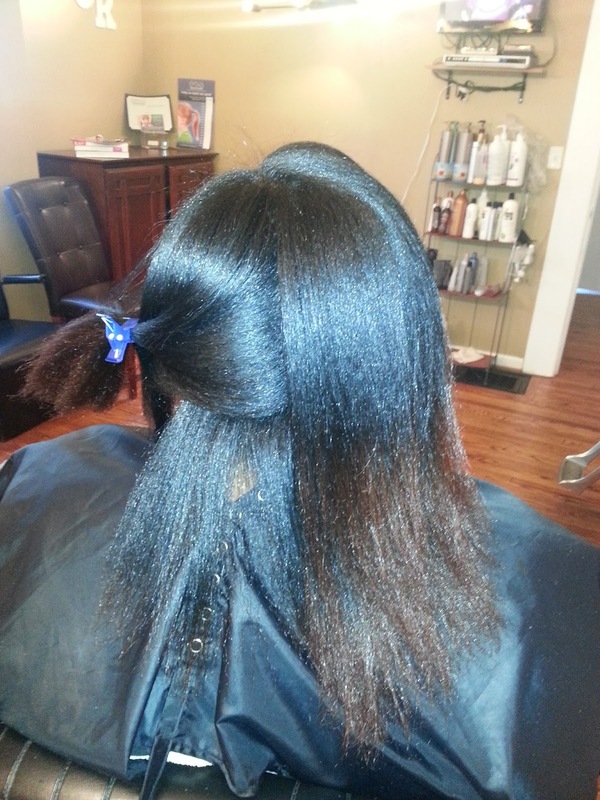 Protein treatments reapply lost protein to weak and damaged strands. Here are some signs that your hair could benefit from a protein treatment. · Your hair is brittle and experiencing breakage in the middle of the strands. This is a sign that your hair has become weakened by weather exposure, rough handling, or lack of moisture. If you notice hairs that are 3 cm long and you have 6 inches of hair, you may want to consider adding protein to your regimen. · Your hair has been damaged through various chemical processes and heat styling and is feels hard to the touch. Sometimes we can overdo chemical processes. Color and heat styling can be rough on hair. 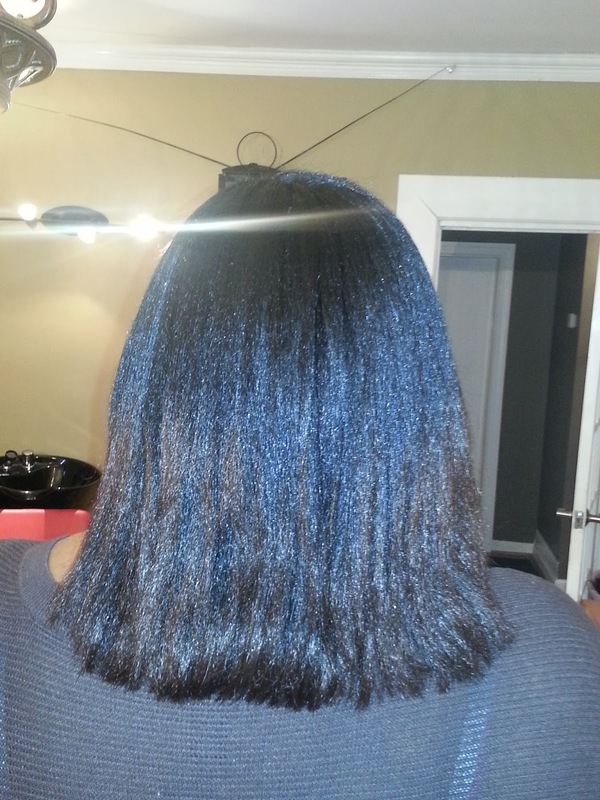 A protein treatment can help prevent breakage and increase manageability. Split and/or damaged hairs have been broken and has gaps in its protein structure. Protein treatments fill in these gaps, giving you smoother, stronger hair. The bad news is that these treatments cannot reverse damage. If a company advertises that protein treatments can repair 4 of damage with just one (or three, etc.) uses, do not be deceived. Adding protein does not reverse hair damage. Think of protein treatments as asphalt over potholes on the interstate. You are much less likely to blow a tire or have an accident, but the damage is still there. For healthy hair, a light protein treatment once a month can reinforce healthy hair (web users suggest Aphogee Keratin 2 Minute Reconstructor). 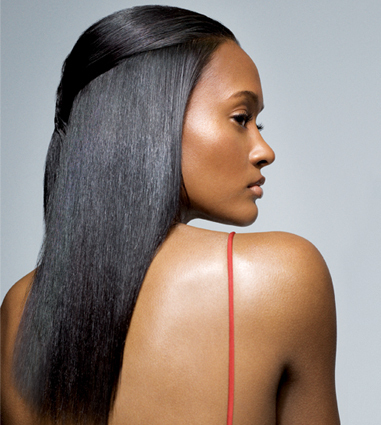 For damaged hair experiencing heavy breakage, intense treatments are recommended every 6-8 weeks. (web users suggest Aphogee Two-step Treatment Protein for Damaged Hair) Since all proteins tend to dry hair, they should be followed with a deep conditioner. You can prevent damage by being gentle and keep hair moisturized. And remember that a protein rich diet is the best way to supply hair with keratin protein. But for regular maintenance and damage control, take some time to reinforce strands by providing an extra boost of protein. I posted on facebook last week that I was going to flat iron my hair for the first time in 2.5 years. Well... I did it. And right on cue, the rain began. But I can still share with you what's happened so far. 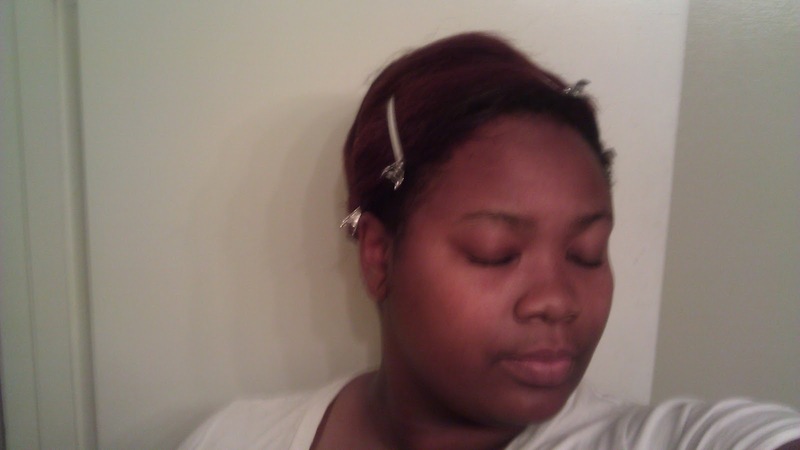 I bought a basic pair of flat irons from WalMart. They were nothing special. 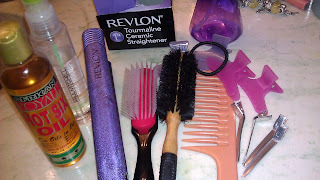 Revlon tourmaline flat irons. And I armed myself with these tools. I was rocking a blowout. 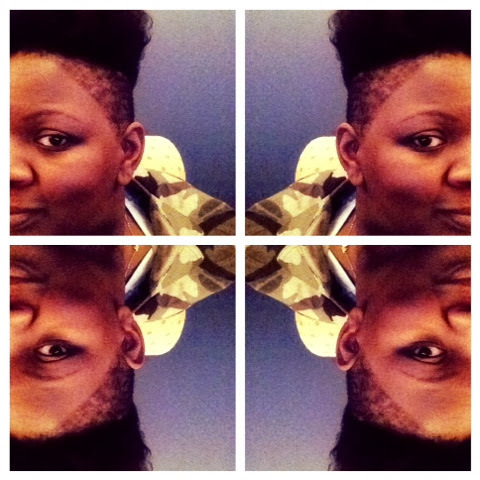 I sectioned my hair into top and bottom halves so that it was easier to manage. I very lightly spritzed any dry area with water, then sealed with hot six oil. My ends are fragile from the disaster, so when I do wear a blowout, they tend to get tangled. 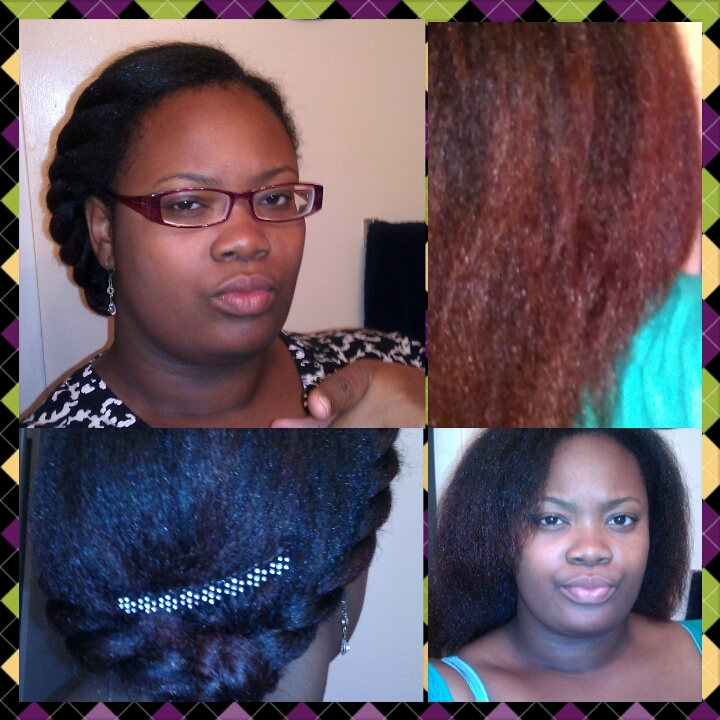 I gently detangled my hair with the denman brush, and smoothed frizzed hair with the round brush. 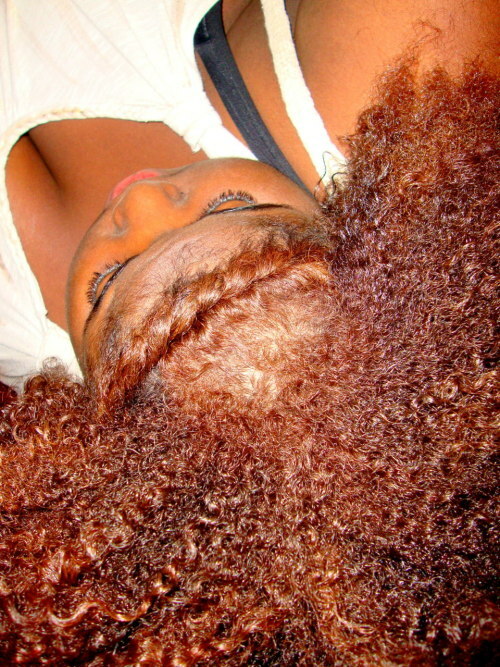 I took small sections of hair and applied Paul Mitchell smoothing serum to prevent heat damage. I secured flat ironed hair with an elastic band to avoid overlapping hair. My hair does NOT like to be wrapped. But I can't keep the same hairstyle for too long... even when it's straight. So below are pictures of a few styles I tried on my flat ironed hair. Spoiler: Not all of the styles were successful. It rained on DAY ONE! Hence, the side eye. 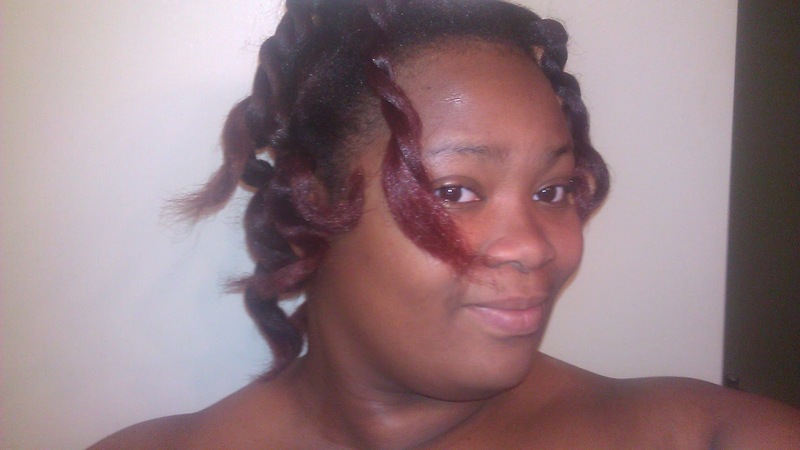 I tried bantu knots. Unfortunately, I have SO many different textures. One side cooperated, and the other side refused. 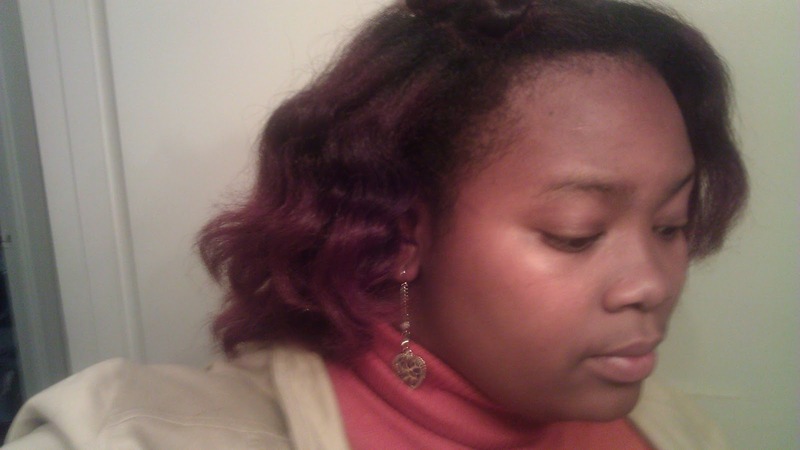 But the cooperative hair was mighty pretty. Excuse the flyaways. But I got this style from WhoisSugar on youtube. If you're not into her channel, get into it. I just tucked my twists in instead of letting them hang because my twists just reach my shoulders. Hers is Pocahantas. Mine is more The Color Purple. But I'm okay with that. I liked the style. This is not just with straight hair. I love switching my styles up. But this week has been more full of fails than usual. I'm not used to straight hair anymore. I'm having fun, even with all the rain and the fails. Ciao, naturals. Candice's Hair Diary: Blow Out. For the first time, I can easily see how naturals can become addicted to the blow dryer and end up doing heat damage. I've only tried to rock a blow out once, and I hated it. My hair grows really densely and kept getting tangled and it sucked. Oh but I randomly decided to do a blow out last week and guess what? I still found knots from my mini twists. But I went through it again and that's definitely the last of that nonsense. In my defense, until you have to manage this stuff, you have no idea how much hair I have. Things can (and have) get lost in there. And different sides have to be styled differently. And yes, I still plan on doing more mini twists in January. But I digress. I went from being stereotypically called Jill Scott to being called Chaka Khan with my hair like this. 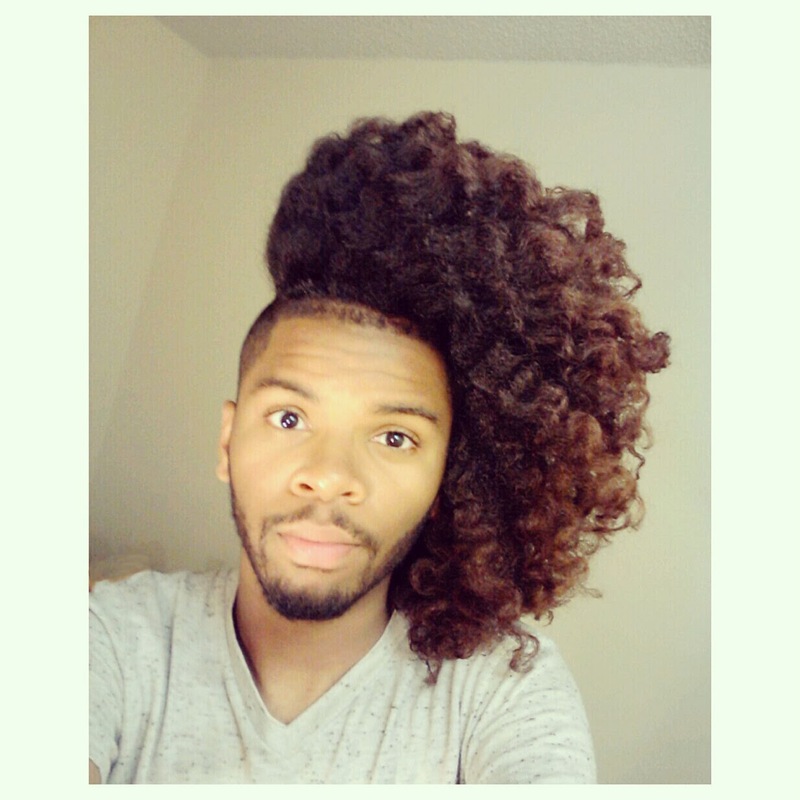 But I loved it, since my hair goal is to have super huge, obnoxiously big hair. I am not saying I can manage to keep up with waist length hair. But I want to be able to rock a humongous afro of my own hairI'm not there yet, but I love seeing the growth that I'm seeing. ** Not to mention big hair keeps me warm in the winter. Definite plus. 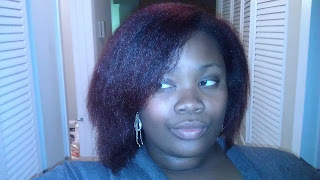 I thought about an attempt at flat ironing my hair straight. I've never done it on my own. But I feel like it's possible now. It's on my to do list. *Note to self, maybe it will be wise to do a formal introduction to my hair, and all 45 different curl types located on one head. **Another note to self, it's probably not so useful to state hair growth goals without doing a length check to keep up with your progress.